Why is bankruptcy so complicated and expensive? People in need of bankruptcy often find it difficult to get the money together to pay a bankruptcy lawyer. The President of the National Association of Consumer Bankruptcy Attorneys said, referring to the "new" 2005 bankruptcy laws, "We've imposed enormous costs on the system which, among other things, have been a real barrier to people filing for bankruptcy because it's so expensive". The Wall Street Journal reported that higher attorney fees are due to the heavier load of legal work that is necessary to meet the law's requirements, creating a large hurdle for financially strapped people. What's going on here? Is this just plain unfair? Were the 2005 bankruptcy laws simply a huge mistake? That seems to be the common opinion, even among bankruptcy attorneys. My own opinion, however, is a bit different. I see it as the never-ending process of finding a balance between giving people in financial distress a "fresh start" to allow them to once again participate in the economy of the country, and the competing desire to hold people accountable for their debts. Notice that both of these goals are desirable and they also conflict with each other. Life isn't simple. In Ancient Greece, if a man owed a debt and could not pay, he and his wife, children, and servants were forced into "debt slavery" until the creditor was "paid" with their physical labor. The Yassa (secret written laws) of Genghis Khan provided the death penalty for anyone who became bankrupt three times. 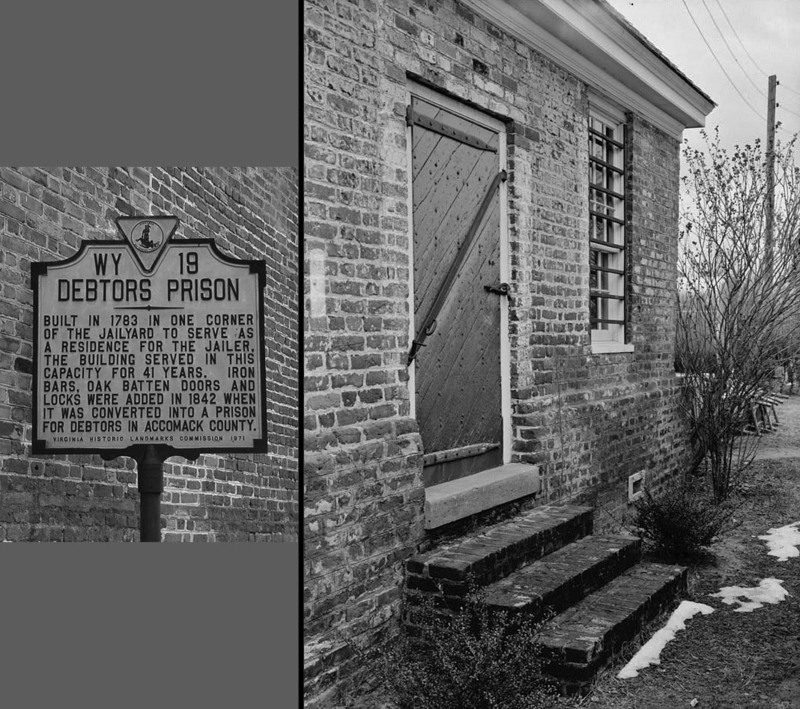 Debtors' prisons were common and existed in the United States until well into the 1800s. Here's one in Accomack County, Virginia, that was in use until 1849. Bankruptcy laws in the United States began with a law passed in 1800 that was repealed in 1803, another one in 1841 that was repealed in 1843, and one in 1867 that was repealed in 1878. Do you get the picture? Bankruptcy has always been a battle between the two competing goals. In our society, that "battle" takes place by arguing for your side in Congress, then passing laws that result from that argument. The 2005 bankruptcy laws are simply (or not so simply) the result of another round in that eternal conflict. When you stop to consider that the congress that passed those laws was largely controlled by business (read "creditor") interests, the result could have been much worse for debtors. The new laws left the core of bankruptcy intact. They added a layer of "protection" against abuse of the bankruptcy process that caused the process to be more complex and expensive. That's what all the shouting is about, and that's fine. Let the dialog and battle continue, because it will whether we like it or not. What does all this mean to you, a person in financial trouble, who has to contend with the complexity and cost of bankruptcy? It means that there are some things in life that you have to pay for, like food, car repairs, and many other things. If bankruptcy would be a large benefit to your financial life, then paying for an experienced bankruptcy attorney becomes one of those things that you have to pay for. You need to somehow find the money for it in order to get the benefit. Facing this fact is just another part of the process that began when you faced the fact that you needed to consider bankruptcy. No part of this entire process is easy; that's just the way it is. What you also need to know is that there is a light at the end of the bankruptcy tunnel. How do I know that? I see the relief in the eyes and manner of my clients after they've taken the steps they need to take toward a financial Fresh Start. ← Are all bankruptcy attorneys created equal (#2)?